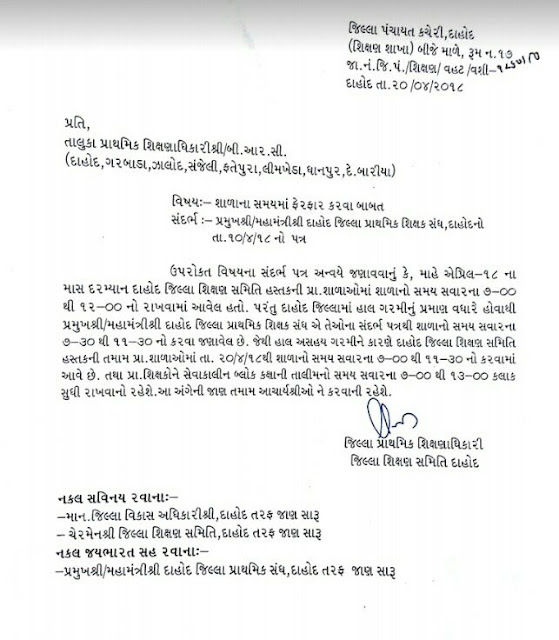 Home Latest DAHOD:- SCHOOL TIME ANE TALIM NA TIME MA FERFAR BABAT LATEST PARIPATRA. DAHOD:- SCHOOL TIME ANE TALIM NA TIME MA FERFAR BABAT LATEST PARIPATRA. Previous articlePRATHMIK SHIXAKO NI TALIM NA MONITORING BABAT PARIPATRA DATE-19-4-2018.